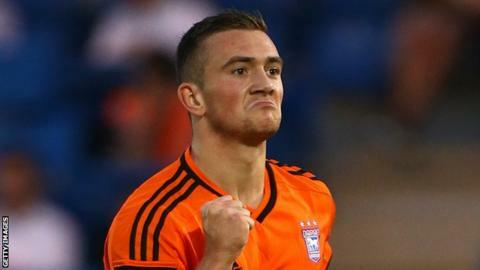 Luton have signed Ipswich Town striker Jack Marriott on a one-year contract. Marriott, 20, began his career at Portman Road and has had loan spells at Woking, Gillingham and Carlisle. He also spent part of last season on loan at Colchester. League Two club Luton have an option to extend the deal past a year. "Jack's quick, he's aggressive, he's had Football League experience and he's scored goals in the Conference," said Luton boss John Still.